Police were called to reports of a body in a rural lane only to discover it was a badger. Cheshire Police were called to a lane in the county after reports a car had collided with something in the middle of the night. It was reported that there was a body in the road in front of the car. Closer inspection revealed the body was that of a badger rather than a person. A spokesman for Cheshire Police said: "Officers called to collision on a very dark rural lane. 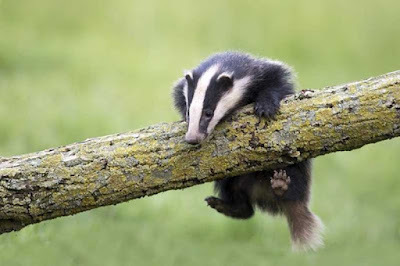 A body reported as being in the road in front of a car turned out to be a badger."